Is It Unsafe to Sign the Back of My Credit Card? News of the recent retail data breaches has put many consumers on high alert to credit card fraud. We’re doing whatever we can to make our credit card transactions safer. This has stirred up an old debate about whether or not it’s safe to sign the back of your credit card. You may have heard that it’s a smart security move to write “see ID” on the back or your plastic, or simply leave it blank. So which method is safest? Let’s dig into the details. 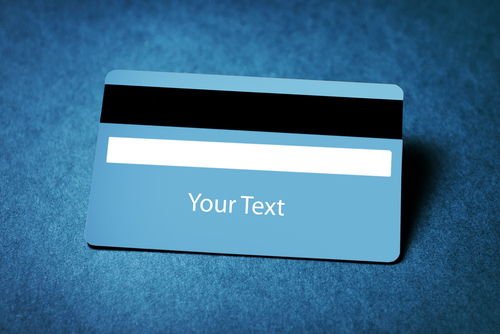 For years, well-meaning credit card users have been advising others to forgo signing the back of their plastic in favor of writing “see ID” instead. Some people even choose to leave the signature panel blank. The theory behind this move is that it provides an extra layer of protection when the store clerk swipes your card. Theoretically, he or she will check the signature you provide on the sales slip against the signature on the back of your card. If you sign your card, a crook can forge it. But if there’s no signature or instructions to see ID, the thief would have to show a driver’s license that doesn’t match the name on your card. This would give the salesperson a chance to stop the transaction and keep your card from being used in an unauthorized manner. While it seems sensible in theory to write “see ID” on the back of your card instead of signing it, there are some important realities to consider. For one thing, by not signing the back of your card you may be violating the terms of your cardholder agreement. Most issuers consider cards invalid unless signed, and payment processors require that cards be signed for merchants to accept them. In fact, MasterCard states that retailers aren’t allowed to proceed with a transaction if a customer refuses to sign a blank card. There’s another reality you’re up against if you think an unsigned card is safer: Most merchants don’t check the back of your card. Usually, no one is verifying that your signature matches the one on the sales slip. This is the result of several factors. For one thing, many payment terminals these days are self-swipe, so clerks don’t even have the opportunity to look at your signature. Also, many payment processors don’t require signatures for small transactions anymore. Additionally, most retailers don’t require their employees to check signatures. All this means you’re probably not getting any added protection by not signing the back of your card. The bottom line is that you’re likely not gaining much by writing “see ID” on the back of your plastic. It’s probably best to stay in the good graces of your card issuer and payment processor and stick to signing. The takeaway: There’s nothing wrong with signing the back of your credit card. Taking other steps to keep your personal information safe will pay off much more than writing “see ID” on the back of your card.